Get ready to party, Mexico! TapSnap has taken the phototainment revolution across the border, officially launching operations in July this year, which includes a Spanish website and phone line. TapSnap has already done weddings, quinceañeras and corporate events in Mexico. 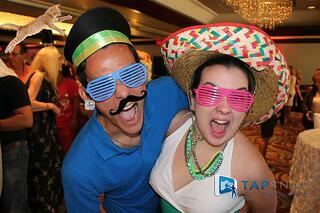 “At every event we’ve been too, TapSnap has been a huge hit. People in Mexico love how sophisticated TapSnap is and everything it does with social media,” says de Albreit. Visit TapSnap Mexico's page and follow them on Facebook. The fiesta will never be the same again! This is only the beginning of TapSnap International. We also have a franchisee in Ireland who is just ramping up, and in mid-August, TapSnap will launch operations in Guatemala. Coming next: possibly operations in Dubai.